Okay you caught me I made up the title “Doomsday” for this event myself. But it has a ring to it right? If the other day was Day of Doom then today is Doomsday. 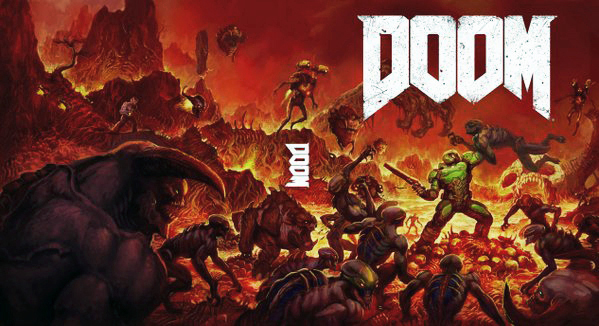 Today the closed Doom beta will launch. I played the alpha and without going to deep into it I enjoyed it but had some concerns. So I can’t wait to play the beta tonight for many different reasons! But I will list a few. I want to play this game again I enjoyed it. I want to see the differences between the alpha and beta and I hope it changes some minor things that bugged me. Bethesda has made it clear that we will be allowed to post about our experiences with it including making videos, posts, streams, and other stuff! Question: Can I share my experience from the closed Doom beta – via forum posts, Gameplay streams, Youtube, etc.? Bethesda: Yes, you may share your gameplay experiences from the DOOM Closed Beta. If you have any questions about sharing video content, please review our video policy. The video policy pretty much says to play the game how it is without internal changes. So no modding then recording and stuff like that they just want the videos to be the game pretty much which is cool.